As Kerala is limping back to normalcy after facing the most devastating flood in close to a century, the state is battling a potential public health challenge as multiple cases of deaths due to leptospirosis (rat fever) were reported from various parts. The health department has issued a high alert in all the districts barring Kasaragode to prevent the spread of the water-borne disease. With eight more deaths reported on Sunday, the total toll in last three days have risen to 26. Three deaths were reported from Kozhikode while two deaths each were reported from Malappuram and Palakkad. One person died in Thiruvananthapuram. Scores of people, especially in the flood-hit areas, have been diagnosed with the severe disease that transmits from animals to humans. 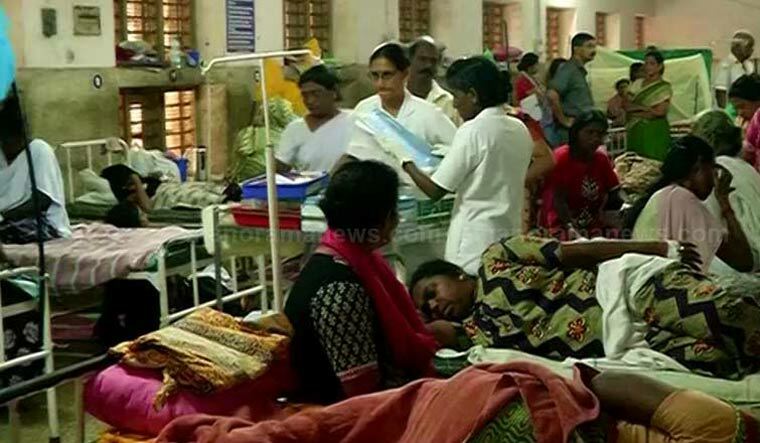 At least 60 cases with symptoms of leptospirosis were reported from Kozhikode district alone. The health officials have urged the public to take necessary precautions and a course of doxycycline twice a week to prevent the possible spread of the disease. Minister E.P.Jayarajan, who heads the cabinet as Chief Minister Pinaray Vijayan has left for the US for a medical treatment, told the media that elaborate arrangements had been made and medicines would be given for free to all. "All flood-hit people and relief workers have been advised to take enough precautions. The Union health ministry has promised us all help,” said Health Minister K.K. Shailaja. Torrential rains coupled with series of landslides and flashfloods have left a trail of destruction in the southern state, killing over 480 people and damaging thousands of houses. Over 10 lakh people have been forced in to relief camps in various districts.